Homepage / Medicine / How Long do Dried Herbs Last? How Long do Dried Herbs Last – For two summers, edible plants are very popular: vegetables and fruit, of course, but also herbs. And here we are in the middle of the harvest season of the latter. You can consume them fresh, of course, but also make a harvest for long-term conservation, which will allow you to use your own herbs throughout the year. Heres how to do it. Most herbs can be harvested at any time, but in general, it is when the plants begin to bloom that their taste is the most concentrated and so it is also the best time to harvest them for conservation. Know that their taste is at its peak in the morning, but it is better to wait until the dew is gone before harvesting, as the leaves and wet stalks are not preserved. This is the most used conservation technique. 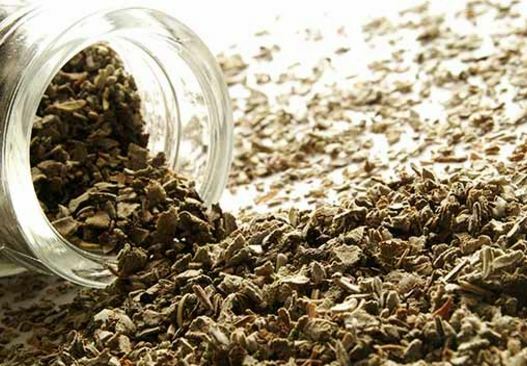 It is particularly used for plants with slightly woody stems, such as rosemary, oregano, thyme, and marjoram. Cut the rods and string them together in small groups. Avoid large bouquets because the ventilation will be too small. Hang the stems upside down, preferably in a dark, airy room. Although it may seem chic to hang the herbs on the ceiling of the kitchen, this room is usually too humid for drying because of the water vapor released by cooking. Most herbs will dry in less than a week and can then be stored in well identified watertight pots at the blackness of preference. You can also try microwave drying, but sometimes you have to experiment a bit to get good results. Place the rods on a sheet of paper towels and cover them with another sheet. Try a minute at the beginning (this will suffice for some), then increase the duration in 30-second increments. Few herbs need more than three minutes of drying. As for the herbs which are preserved the seeds rather than the foliage and stems (coriander, dill, caraway, etc. ), they must be harvested after flowering, when the seed capsules begin to brown. Place the floral stems in the place or upside down in a paper bag for a few weeks. The seeds will fall to the bottom of the bag and you can then pour them into airtight pots. It is easier to store certain herbs by freezing them. This is particularly the case of parsley, chives, and lovage. Cut them in the same way as for cooking. Chives and parsley can be chopped while the leaves of mint or Melissa can be frozen whole. You can even freeze the borage flowers! Place a teaspoon of the fine herb in an ice cube tray and add a tablespoon of water. Place in the freezer. Pour the ice cubes into an identified bag and keep them in the freezer. Then simply add the Ice cube to your recipe in preparation. To make vinegar, slide a stem or two of the selected herbs into a bottle and pour vinegar in it. Seal and place in a sunny place, stirring occasionally, for two weeks. Herbal vinegar is preserved for years because the acidity of the liquid prevents the development of micro-organisms. The same is done with the oils (use low-taste oil), but it is better to keep the product in the fridge. If you want to keep a flavored oil for more than three weeks, freezing is even a bit. Finally, there are many other conservation methods, but they should get you on the right track! Previous post When does a Baby Start Teething?